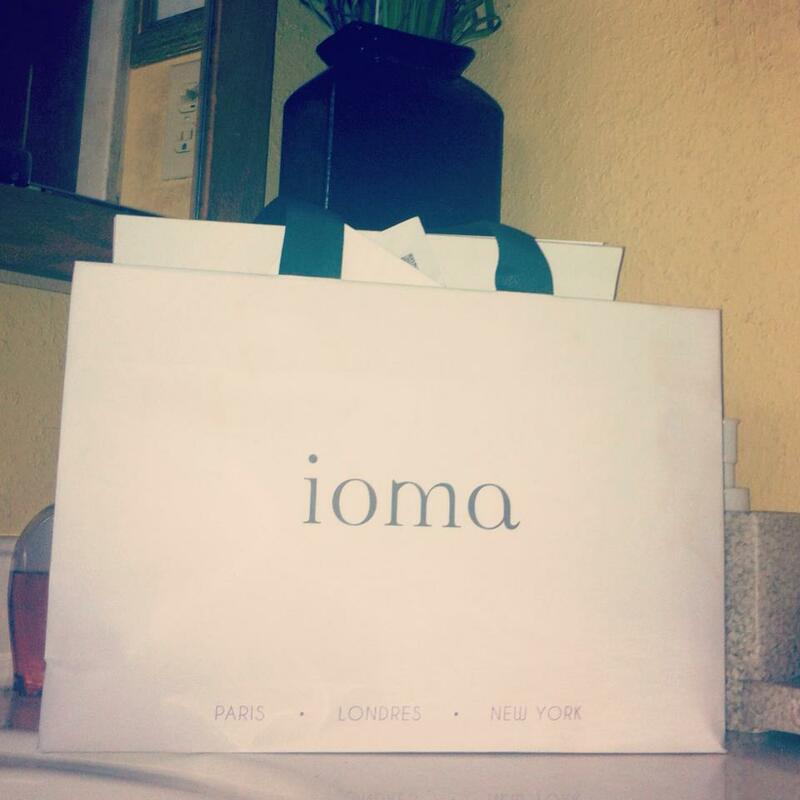 IOMA is indeed here and they made their presence known! 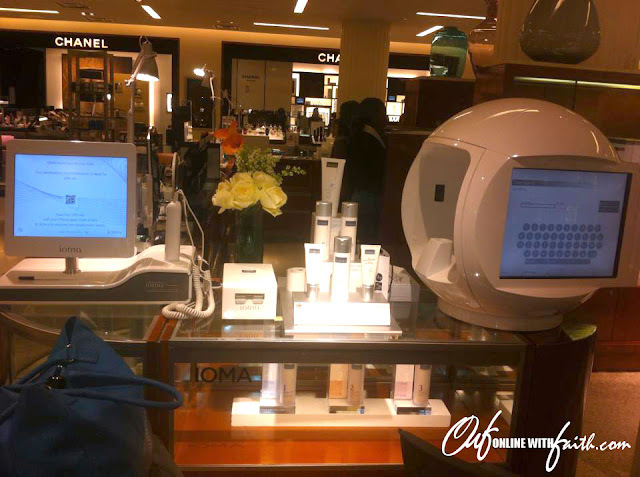 IOMA is a new counter located in SAKS in the Houston Galleria Mall. Many don't know about IOMA because it's a new line in America however they are very popular in France being that they originated from there. Just to shed a bit of history of IOMA and how this new skincare came about. Jean Michel Kram, who is the Founder and Chief Executive Officer of IOMA is also known as a scientist of 50 patents and he is the founder/CEO of MEMSCAP. 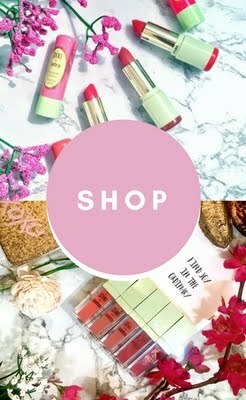 He invested into the cosmetic industry because he believed that he could demonstrate the actions of his products and it's performance. MEMS stands for Micro Electro Mechanical Systems. I KNOW I KNOW! I'm sure y'all want to know what MEMS are RIGHT? According to www.iomaparisusa.com "MEMS are complex electrionic components that can detect things like pressure, acceleration, speed, and ect.) in a particular environment." We see this a lot in automobiles example being the set off of airbags. MEMS are mandatory to many industries. They are also mandatory in the Aeronautics, Medicine, Biology and telecommunications. MEMS can make an image pivot on a smartphone. For anyone that loves science you will find this information quite interesting RIGHT!? I know I did. 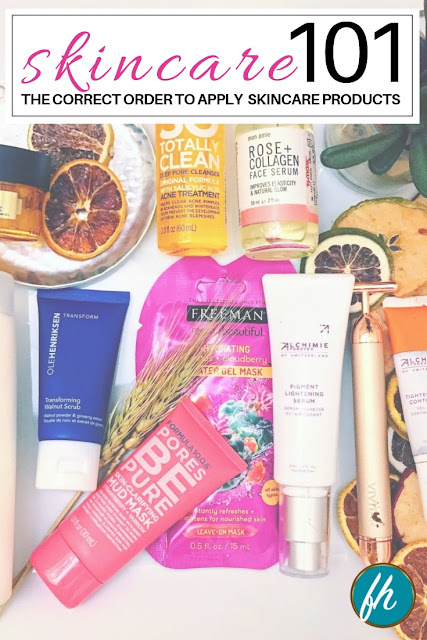 So I then wanted to know what does it have to do with skincare? EUREKA I HAVE THE ANSWER! 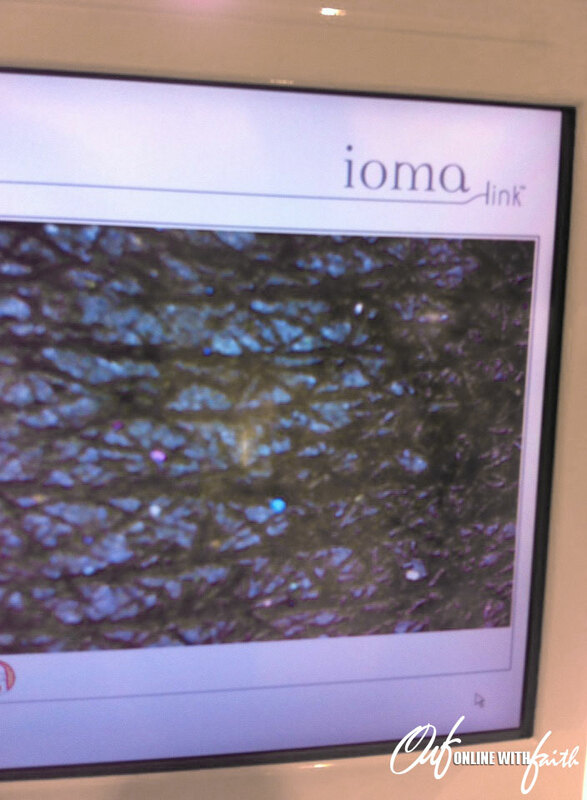 MEMS are so miniaturized they can be integrated into IOMA's skin analysis devices. They basically can measure ACCURATELY several parameters of the skin. 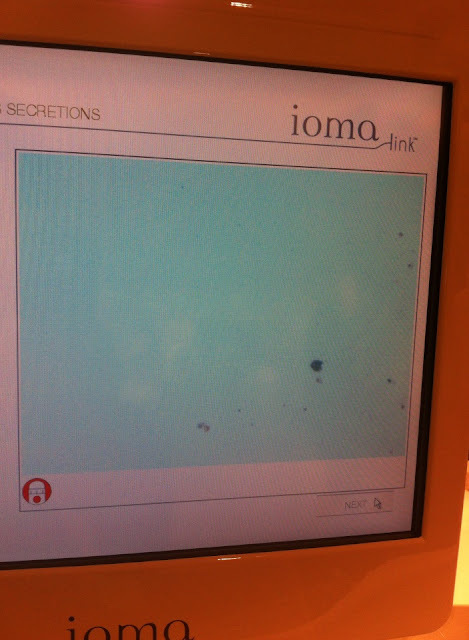 MEMS makes IOMA Skin Analysis devices- IOMA Beauty Diag, IOMA Sphere and IOMA Link. Which makes IOMA different from any skincare line I've ever experienced. Which is why IOMA is so unique to the market because it's never been seen before! MEASURE the skin’s seven main characteristics: Moisturization (with an essential and additional criteria, trans-epidermal- water- loss), clogged pores and bacterial activity, UV damage, pigment spots, redness, fine lines and wrinkles. It can ANALYZE skin disorders, in order to classify them by importance and automatically recommend an individual skincare regimen. 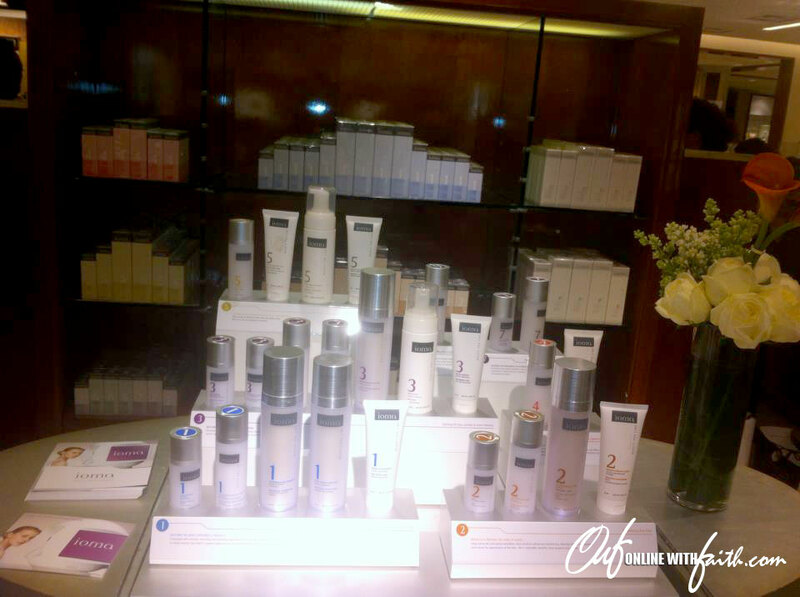 With their Bespoke Youth Rituals, the formulations are fully personalized, making them even more efficient. And they can COMMUNICATE: each person’s diagnosis is stored on the device, making it possible to compare the results before and after treatment and evaluate the progress being made! This is what you call ACCURACY and personalization! It's very futuristic. So this is what I learned from Audrey the trainer from Paris. 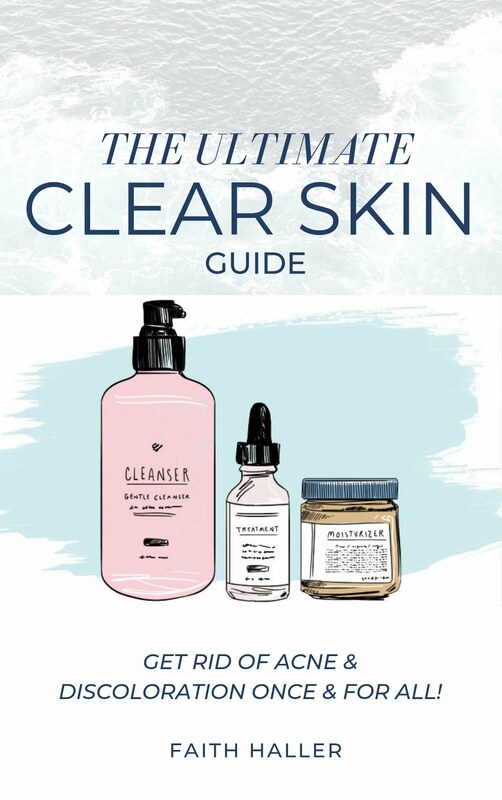 Jean Michel Karam tried to market this to the public by using different skincare lines to see if after receiving your first analysis would the products effective enough for you to see results after the second analysis. Jean discovered that they weren't effective. So he created his own skincare line specially designed for the advance technology.
" 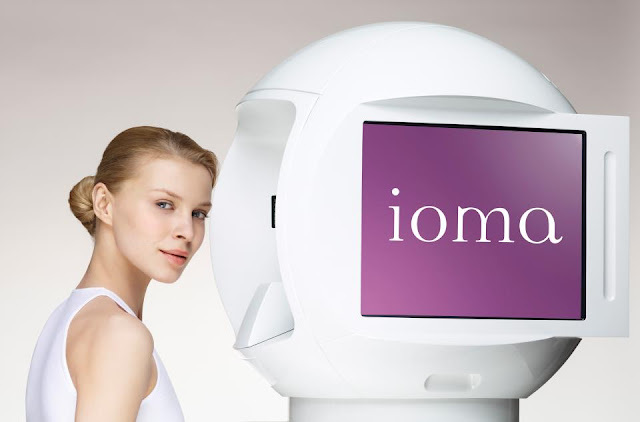 IOMA is where High Technology meets the most-advanced science." This is basically how it works. 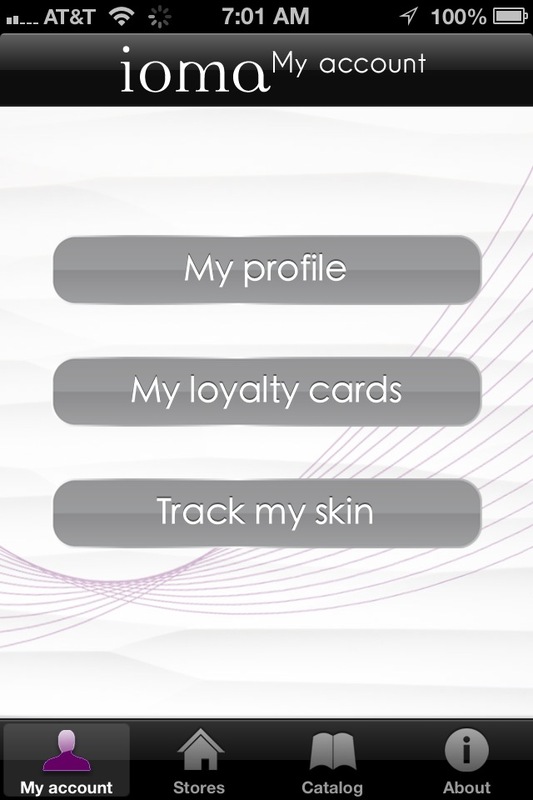 They detected my fine lines , uv damage, dehydration, water-loss, Bacterial activity and here are the recommendations for my skin type and it's improvements. I did see immediate results but you won't see the real results until 2 months later because that's when the new skin cells comes in. Then I went to the ULTIMATE LAB! Where the miracle happens. 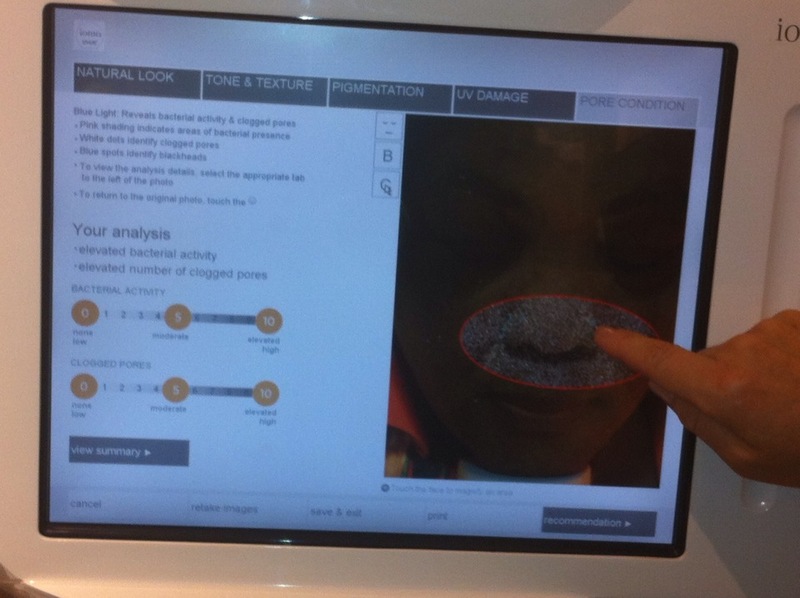 The microscopic measurement analysis of your skin tailored for your points of sale. Your quick skin analysis with precise results that are indisputable. Your prescription for the IOMA skincare treatments perfectly adapted to your skin. 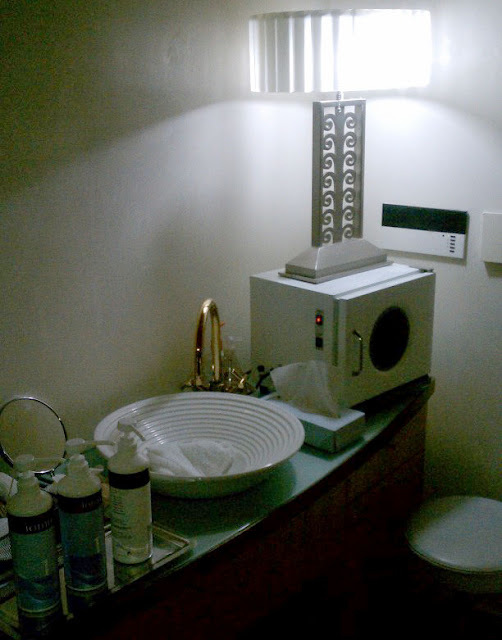 The formulation of your Bespoke Youth Rituals kit. 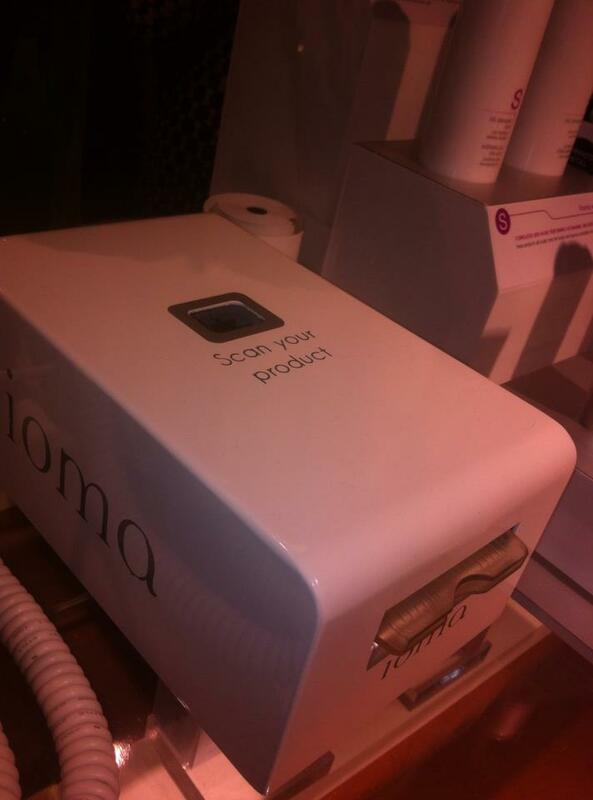 The regular follow up on the results of your personal IOMA beauty treatment for the duration of your treatment. 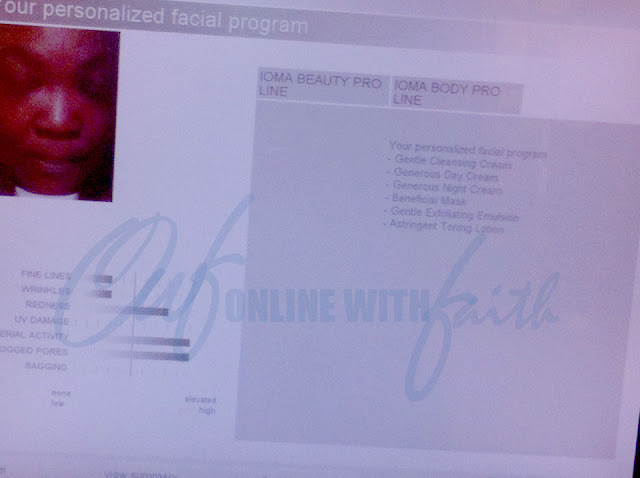 Then they detected my fine lines. 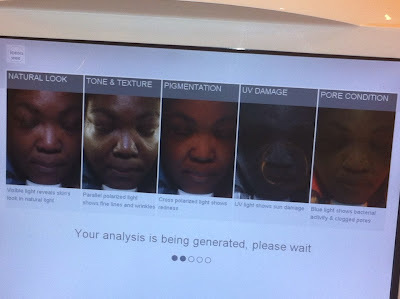 Then I got this analysis with my recommendations From the looks of it my skin is dehydrated and it could be worse because of the makeup. 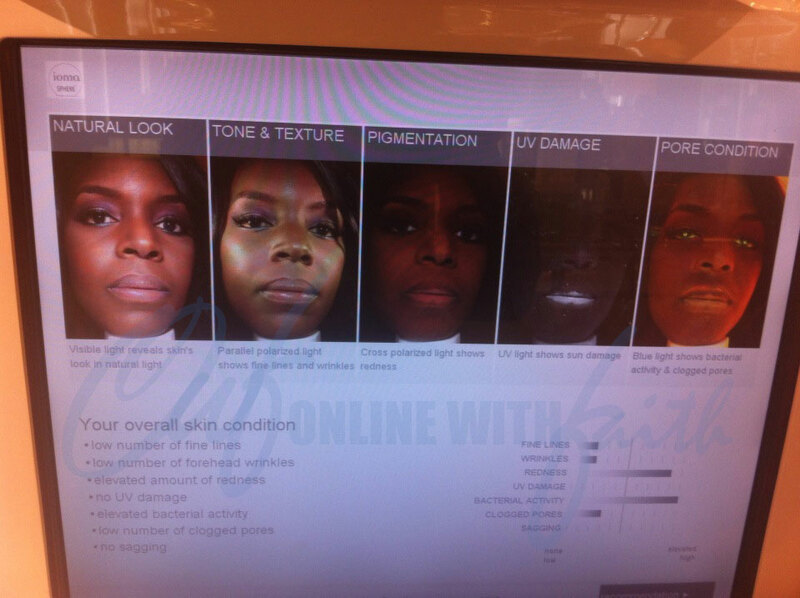 Because the diagnosis on the Beauty Diag on my first consultation was better than this. I also got this ticket of the recommendation through this little printer that almost look like a receipt printer. 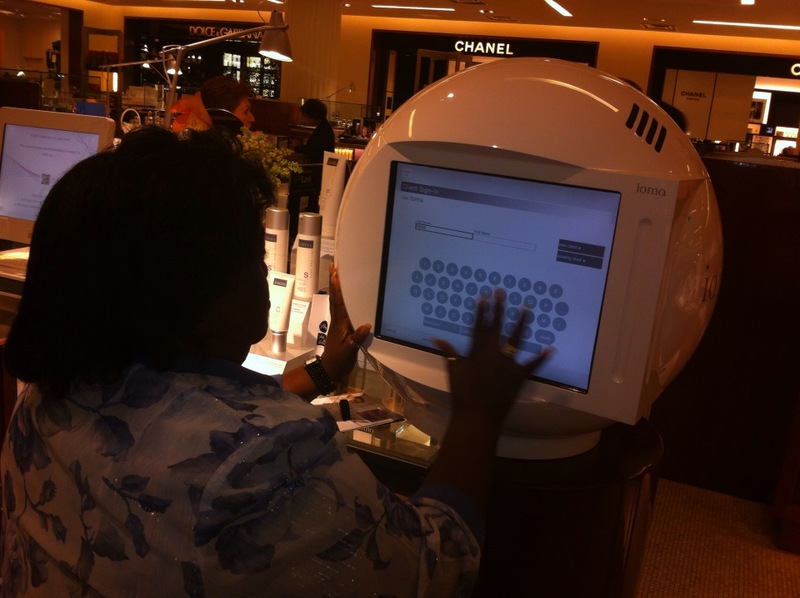 Then I had the opportunity to not only try The IOMA SPHERE but I bought a model with me so I could watch her results. Here is the Sphere. Now because I did the IOMA Beauty DIAG there was no need to do the LINK and Sphere but I wanted the experience so I got it. The sphere is for the basic diagnosis. 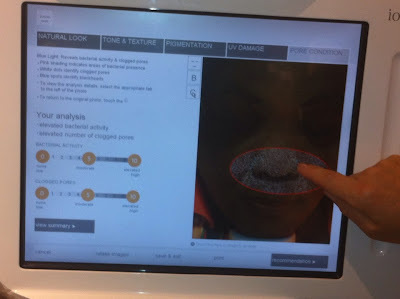 It goes 2 layers into the skin and takes 5 snapshots of your skin....The sphere even talks to you. I feel like I was dipping my head into a over sized helmet camera. 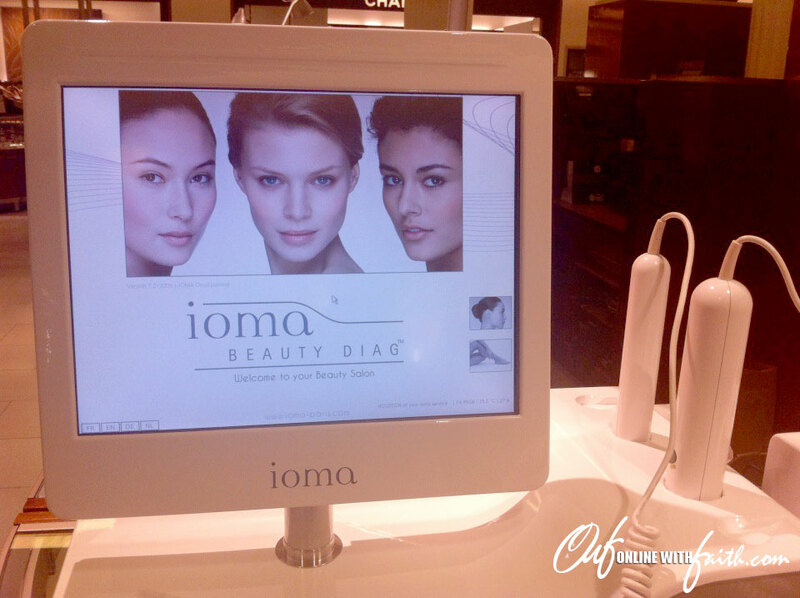 Just like the IOMA Beauty DIAG, and IOMA Link you have to first put in your information for your profile. 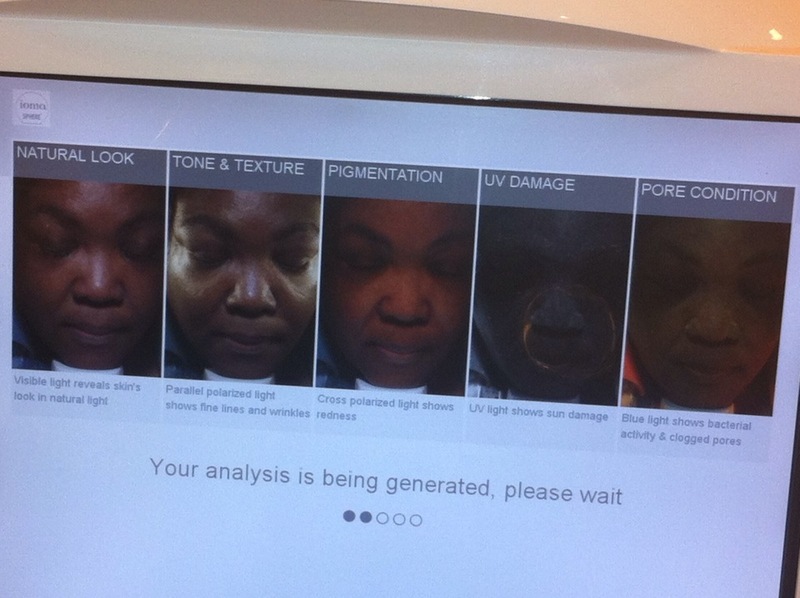 Before they analyze your skin. 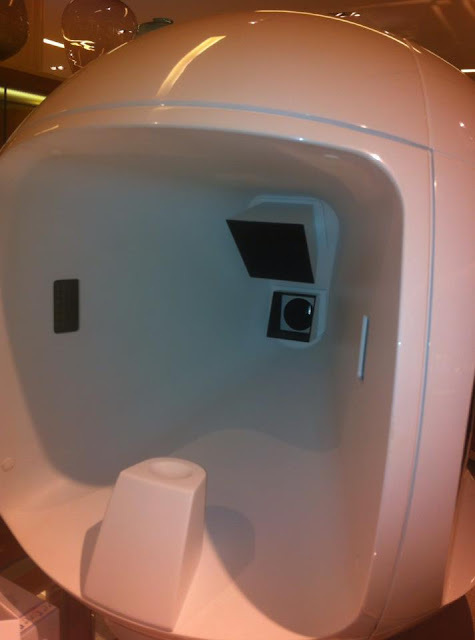 Then you stick your head in the Sphere and it take 5 snapshots of your skin. In this photo you see my natural look, then my tone and skin texture, my pigmentation which is red, the uv damage which I had no uv damage. ( try to wear uv protection THANKS TO +Eve Pearl ) My pores are fine, I did have bacterial activity around my nose and mouth area.. 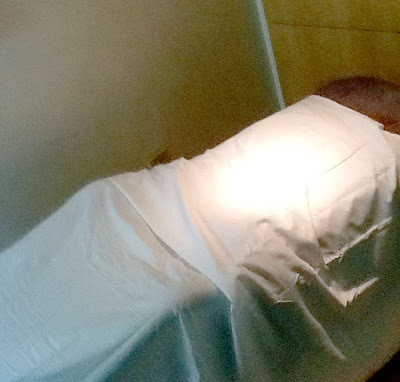 I had inflammation of redness, low numbers of wrinkles on forehead, low fine lines and very low number of clogged pores. 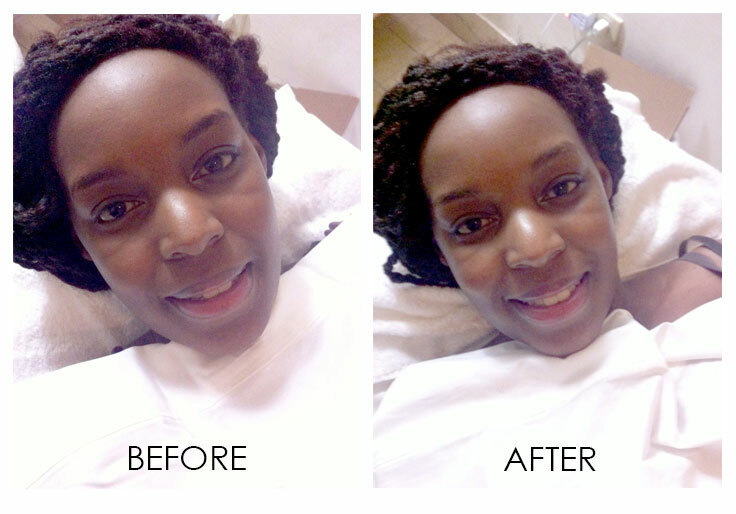 For the most part my skin was not bad but there is much improvement and because I'm young I have a better chance of correcting early. I also bought my aunt as a model to document her progress. Here is her diagnosis....She'll be doing her facial next week at IOMA. She was sent home with some products to try out but I can't wait to go with her to her facial/Massage. You can see a slight difference in texture and even my clarity. 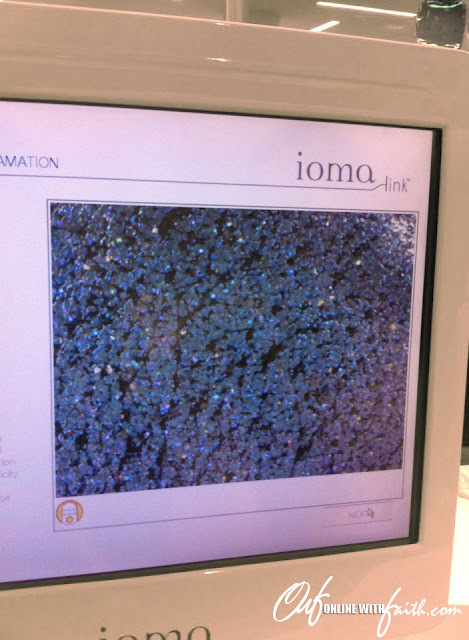 I also downloaded the IOMA A MOI app on my iphone. So that's it for the most part. 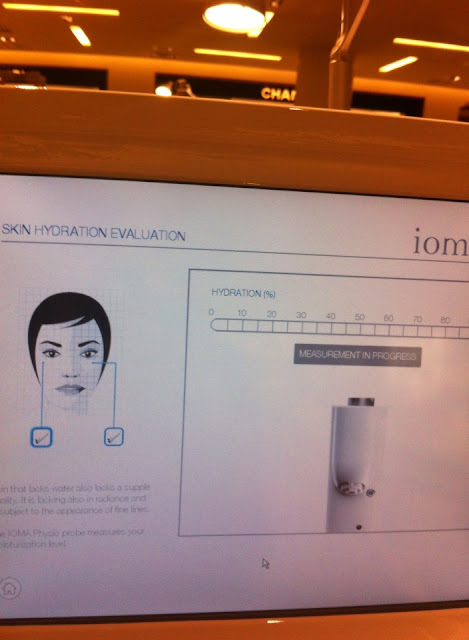 If you read this entire blog post hopefully this encouraged you and convinced you enough that you need to the nearest SAKS that carries IOMA and test it out for yourself. If this hasn't convinced you enough let me add more. 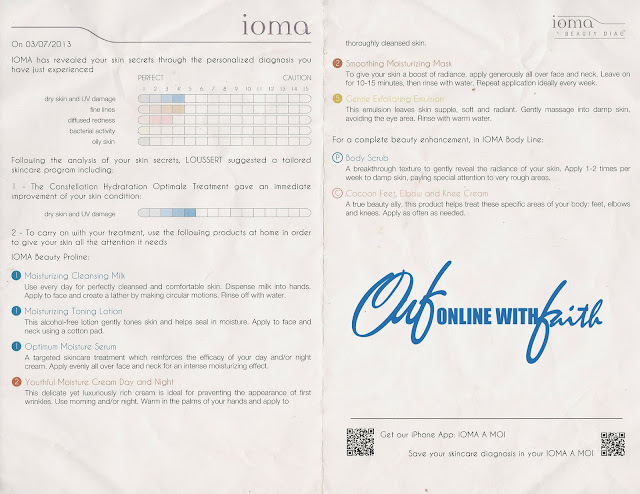 IOMA is also Paraben Free, Fragrance Free, and Silicone Free! They have 7 Categories of Products identified by 7 colors and 7 numbers acting precisely on each of the 7 skin imperfections identified by their high tech advanced devices. 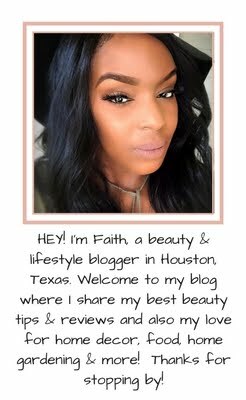 Stay tuned for my review on the products!